Nellis Air Force Base, in Nevada, home of the Red Flag exercise, is for sure one of the most famous airbases in the world. It is located in northeast Las Vegas, and covers more than 14,000 acres (57 km2) with ranges providing 15,000 square miles (39,000 km2) of airspace for flying operations. 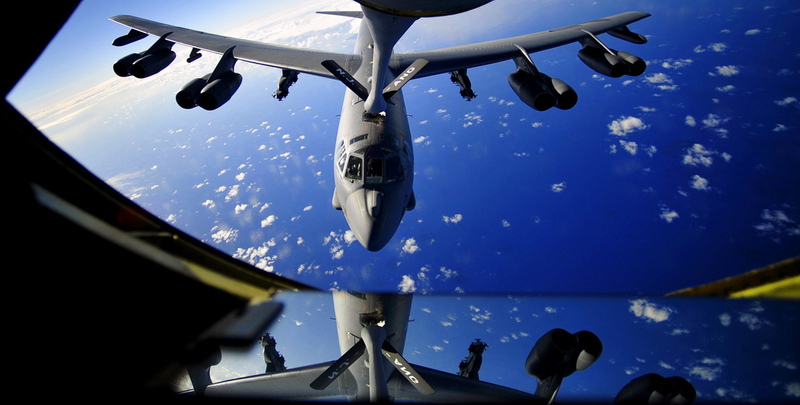 The following picture, taken by U.S. Air Force Airman 1st Class Matthew Bruch, an aerial photographer with 1st Combat Camera Squadron, was taken shortly after take off from runway 03L on an F-15D from the 65th Aggressor Squadron flying in support of the Air Force Weapons School. 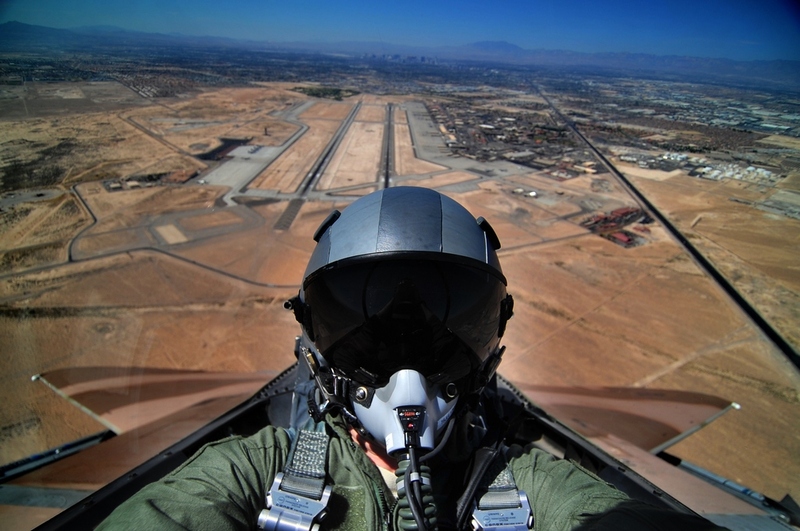 Even if this kind of self-portrait is always cool, I think this photograph is particularly interesting as it not only shows the airman, but also Nellis AFB and Las Vegas behind the sand-camouflaged F-15. Among the various units based at Nellis, the 57th Wing and its Aggressors’ F-15s and F-16s are among the most interesting guests. Covert US drone operations tracked in real time, via Twitter. Exposing tactics too.